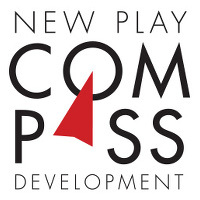 At a press conference this morning, the Grand Theatre’s new artistic director, Dennis Garnhum, and a selection of Canadian theatre artists announced the theatre’s new play development program, Compass . Described as an “opportunity for London… to be on the forefront of theatre in Canada”, it currently comprises five new works presenting “our stories on our stages”. While four of the projects are at a very early phase of conception (two have creative teams attached, and the others are ideas formulated in the last six weeks), one—Vancouver playwright Trina Davies’ Silence: Mabel and Alexander Graham Bell —reveals the first hint of Garnhum’s programming for the 2017–2018 season. Told from Mabel’s perspective as a deaf woman, the play was developed at Theatre Calgary (where Garnhum was previously artistic director) and will be directed by Peter Hinton. The hints dropped about the innovative and modern presentation of this historical piece are encouraging; it should also be engaging to the general public, many of whom won’t have experienced this sort of experimental performance before. It’s notable that the first projects announced under Garnhum’s directorship are all focused on Canadian stories, and three are directly tied to London stories. While none will be presented during the country’s sesquicentennial year, the continuation of previous artistic director Susan Ferley’s partly Canadian approach to programming the 2016–2017 season is clear. The inclusion of Starlight Tours , a fact-based musical by Mi’kmaq writer Cathy Elliott and composer/lyricist Leslie Arden about the deaths of Indigenous men in Saskatchewan at the hands of the police, is welcome as a challenging and inclusive piece of the sort that isn’t often seen in the theatre idiom. Locally-based plays form the remainder of today’s announcement: Guy Lombardo’s New Year’s Eve , created by composer and 2010 Winter Olympics musical director Dave Pierce, singer Adam James, and Garnhum; London Bridges , a piece about London, Ontario and London, England, to be co-written by British and Canadian playwrights; and an interactive site-specific musical about theatre mogul, self-made millionaire, and resident ghost of the Grand Theatre, Ambrose Small. Garnhum’s enthusiasm is apparent and contagious. Theatre in London hopes it will continue and grow, and be met with increased vigour and creativity from the local independent theatre community.